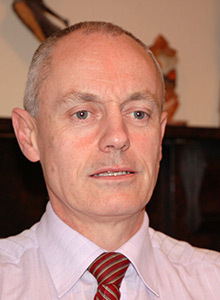 Gerard is a native of Longford and has been with the firm since he qualified in 1983. A graduate of University College Dublin, he holds a B.C.L. Degree. He practices primarily in the areas of Property, Capital Taxes, Employment Law and General Litigation. Past pupil of St Mel’s College, Longford and Cistercian College Roscrea. Admitted as a solicitor in 1983. Outside of law his main social/sporting interest is rugby. He played with Longford RFC and was an Office holder and Committee member for a number of years. He is presently a Coach and Referee at Minis’ level.